Anyone who’s been reading this blog for a while knows I don’t have much time for Justin Bieber. I think he’s been acting like an entitled brat lately but then he went and redeemed himself with this hilarious April Fools’ Day joke. Bieber’s been messing up a lot in recent times and every time he does, gossip websites have been quick to point it out. 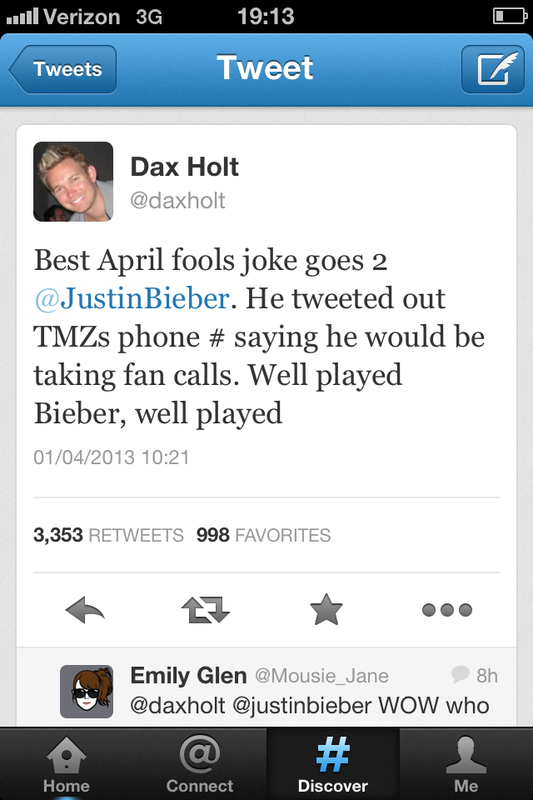 To get his own back, Justin tweeted out the number to the TMZ office saying he would be taking fans’ calls. Cue TMZ getting inundated with calls from over enthusiastic Beliebers while Justin no doubt laughed his little head off somewhere! We can all appreciate a harmless yet effective April Fools’ Day prank. Although I’m sure the poor person responsible for answering the phones doesn’t agree after being inundated with calls from hysterical Beliebers all day! And if you don’t find that funny, here’s my all time favourite picture of Justin Bieber which is guaranteed to make you laugh! 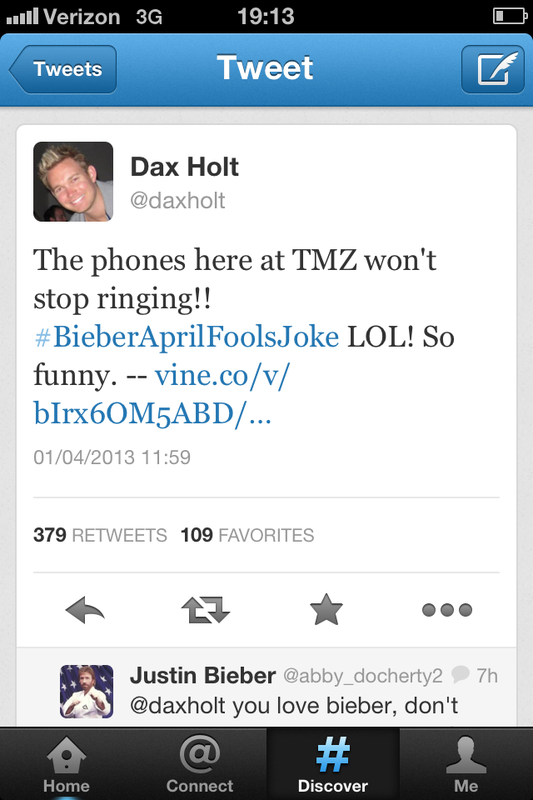 This entry was posted in Gossip and tagged April Fools' Day, Beliebers, Justin Bieber, prank, TMZ, Twitter. Bookmark the permalink. Best article I will visit this blog frequently.